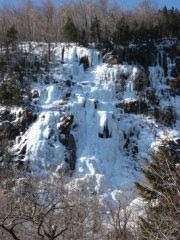 Recently I went to North Conway, NH on an ice climbing trip with some of Bethany's family. It was basically amazing. Besides being bit by the climbing bug pretty bad, bad enough to start a membership at Vertical Endeavors , I saw lessons about life that were rolled into the climbing experience. I want to post a few thoughts about this trip. Most things in life are deceptively safe. Walking down the street, driving down the road and plugging in a toaster: life is full of danger. Most of these dangers aren't something that we normally recognize. Standing below the cliff on the second day, I couldn’t believe that we were going to climb to the top. Just the day before, I was so frustrated trying to learn how to use these new tools. But I had things I could trust to keep me safe. I trusted my gear. We used climbing ropes both to tie into each other and to tie ourselves to the rock. We trusted our ropes and harnesses to keep us safe. In a way it was comforting to have something to check and re-check. We also used crampons and ice tools that made it possible climb vertical sheets of ice. More importantly I trusted my partner. Dan was an experienced climber. He had been traveling to this area for the last 7 years climbing. I knew that when I fell, he would have the end of the rope. I can count on him. When I asked him if he thought I could make this climb, his affirmation gave me courage to face the climb. When we say we trust God, I think often times we have a disconnect of what that actually means. When I am climbing, trusting my rope means betting my life that it will keep me safe. I want to trust God like that. Let's just day that the last few months have been...crazy. 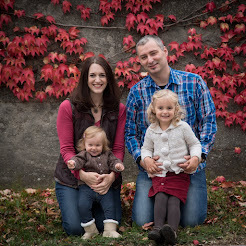 And that's why I have been so delinquent in keeping up with the blog and posting highlights on what we've been up to. But life is calming down and I will try my best to stick with it more this time! I (Bethany) had a very busy first quarter of the year with work travel. Since January 1st, I have traveled to Las Vegas, Nashville, Virginia, Atlanta, Anaheim, Cancun and back to Virginia...I was on the road for 34 days over 2 months. Needless to say, it was rough being gone from home so much and it was a challenge to continue to feel connected to our community here. It was hard for Nate and I to be apart so much. And I got tired of living out of a suitcase! But I have been asking God to help me to grow in patience, be thankful despite circumstances and thankful for His provision of a great job, and learn more about loving my husband when we are apart. I'm sure we will have more times like this and I think we will be more prepared next time around. Other than traveling for work, there have been a few other highlights from the last few months. Here are some photos and updates from other fun things that have been taking up our time! I recently taught myself how to knit and have begun learning how to make a variety of knitted items! 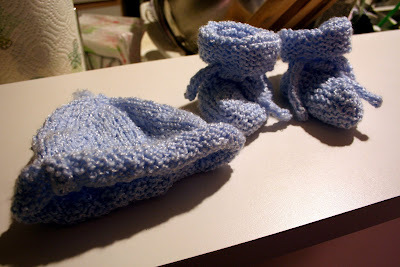 Here is a hat and booties I knit for some friends who just had a baby. Last weekend, we visited Washington D.C. and attended the wedding of a college friend of mine, Christy Vander Molen. 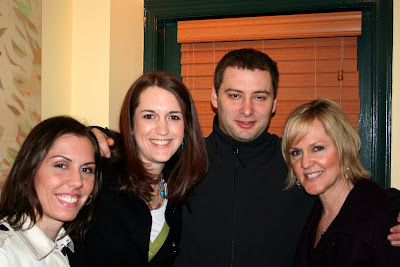 It was such a fun time to reconnect with friends from Wheaton. 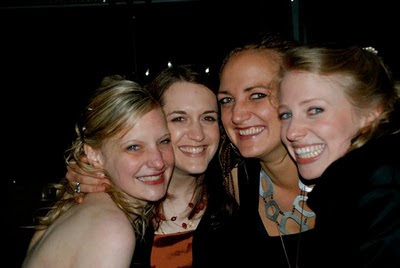 Here, I'm pictured with the bride and my two friends, Holly and Jessi. 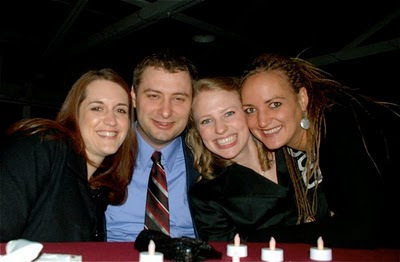 Nate and I with Holly and Jessi. 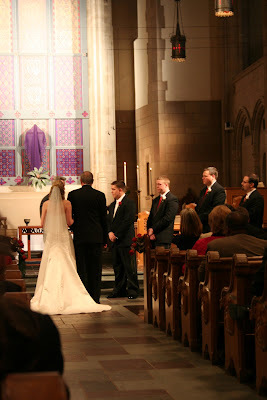 It was a beautiful ceremony at a stone church in D.C. Matt and Christy were so excited and thrilled to be married! 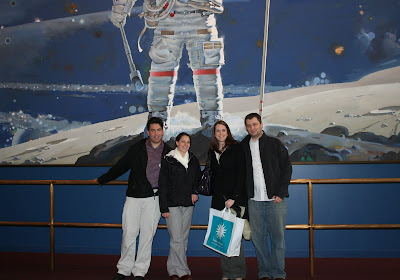 We spent an afternoon at the Air & Space museum with friends John and Galadriel Pastor, who were our gracious hosts for the weekend in Arlington, VA. While in D.C., we got to see my cousin, Farrah, who lives in the D.C. area. My Aunt Lolly was visiting for the week and she joined us for brunch at a Mediterranean restaurant. 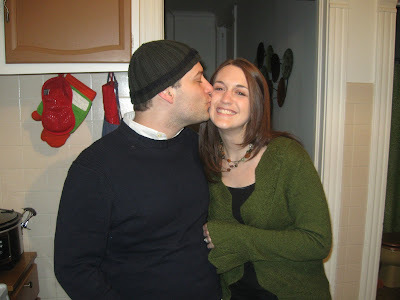 This photo was taken at the apartment of our friends Suz and Travis Satterlee. We joined them for dinner to enjoy some venison roast, from a deer shot by Travis himself! 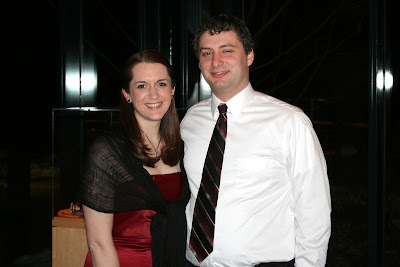 For Valentine's Day, we went to the Arboretum for a chocolate dinner...chocolate in every course! 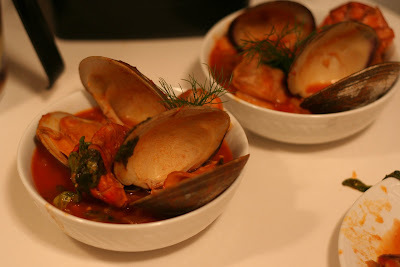 A recent culinary creation that Nate gets full credit for - Shrimp Cacciucco (a recipe we saw on the Food Network). 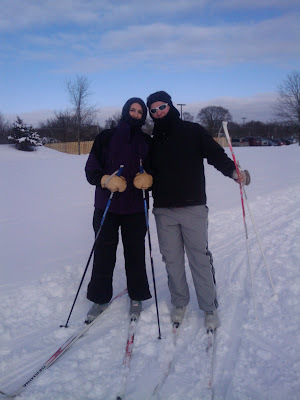 In January, I got to try out cross country skiing for the first time! A local golf course in Wheaton rents skis and has well-groomed trails. It was fun...and a good workout!